Martha Berry thanks Miss DeWolf for the furniture she sent and hopes she will come visit Berry. 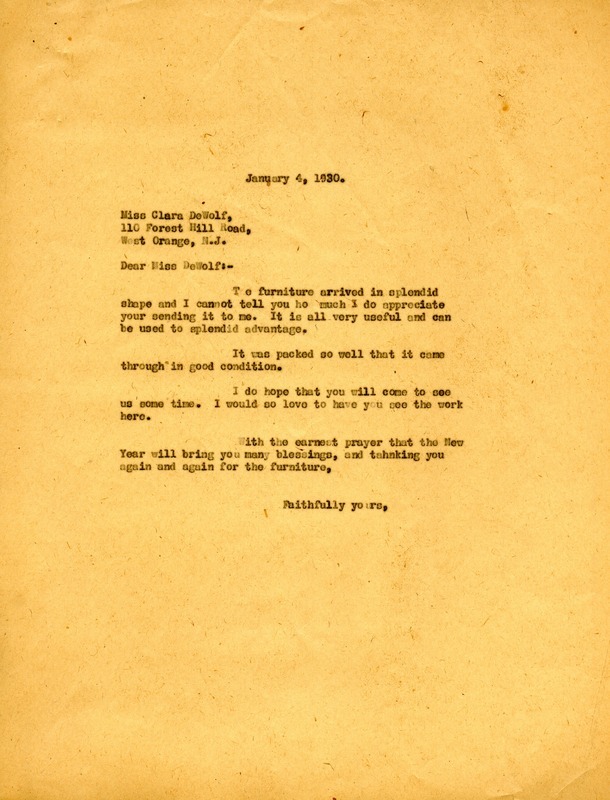 Martha Berry, “Letter from Martha Berry to Clara DeWolf.” Martha Berry Digital Archive. Eds. Schlitz, Stephanie A., Angela McCavera, et al. Mount Berry: Berry College, 2013. accessed April 24, 2019, https://mbda.berry.edu/items/show/12337.